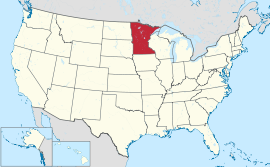 The state of Minnesota is ranked fifth among the 50 states in overall health of its residents for the year 2012. This is an improvement of one notch from last year’s ranking of sixth. This state continues to improve in most categories, including the ever important area of health insurance Minnesota residents need to have. For the year 2012, the state ranks third in the number of health insurance Minnesota residents have compared to the other 49 states. • Premature Cardiovascular Deaths – This is the leading cause of death in the nation and is an important ranking to look at when determining how well a state is doing with health care. Minnesotans have an active life style. This, combined with the high percentage health insurance Minnesota population has and the result is a low number of deaths from heart disease. • Prenatal Care – It is well understood by the medical community the importance of prenatal care and its relationship to infant mortality and health. Minnesota has achieved top ranking for their effort in this area of health care. • Occupational Fatalities – This represents deaths that are work related. Ranked from low to high, Minnesota is number one in the nation. • Public Health Funding – This type of government spending is aimed at many types of programs such as prevention, education and treatment. State funding has dropped from $62 to $43, per person, in the last five years. Minnesota is now ranked 46th in the nation. • Infectious Disease – High incidence of infectious disease has created a rank of 49th. Much of this may be related to a drop in public health funding. • Binge Drinking – Ranked near the bottom at 44th, binge drinking continues to be a challenge for the state government. Much of the problem exists with younger people in the 20s and 30s.